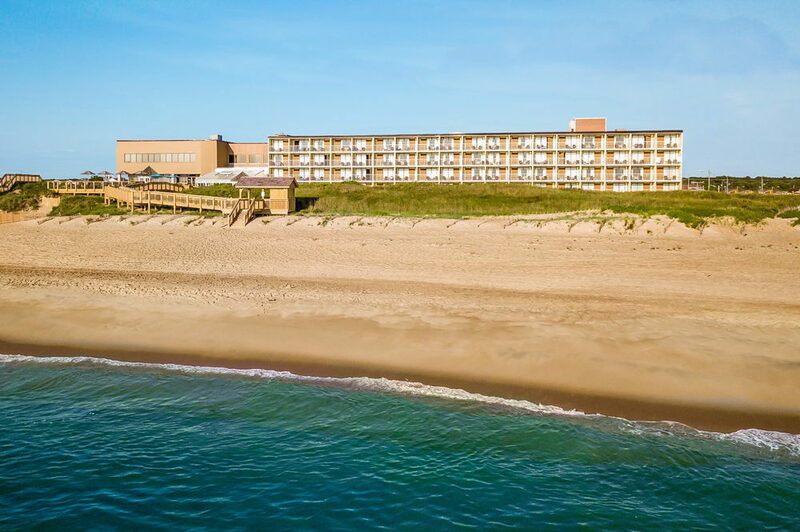 A standout amongst hotels in Nags Head, NC , Ramada Plaza beach on the Outer Banks is relaxing and scenic, with beach chairs and umbrellas available for you to stretch out by the surf. 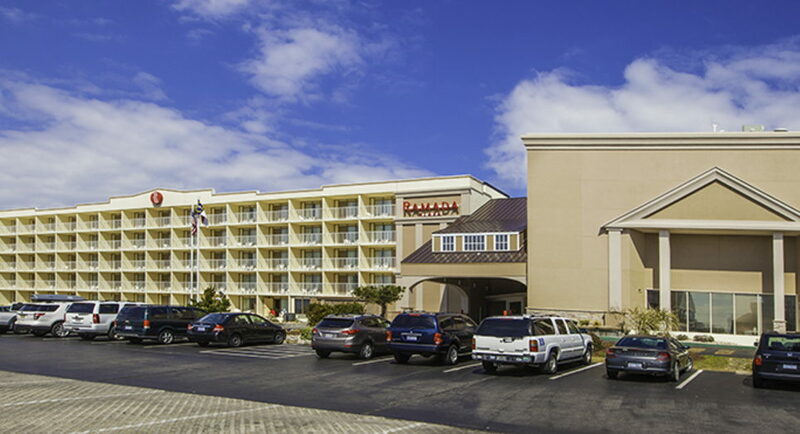 When you’re ready to get out and explore, Ramada Plaza Nags Head Oceanfront hotel‘s central location on the Outer Banks puts you just minutes from the Wright Brothers First Flight Monument and close to Jockey’s Ridge State Park, Manteo Aquarium, Roanoke Island Festival Park, the Lost Colony historical performance, Elizabethan Gardens, Bodie Island lighthouse and many other shopping, historical sites, outdoor recreation and area attractions. The iconic Cape Hatteras lighthouse is a popular day trip from our hotel. For an active vacation, you’ll find hang gliding, deep sea fishing, jogging trails and biking in the area. Many of the sights and activities are available year round. 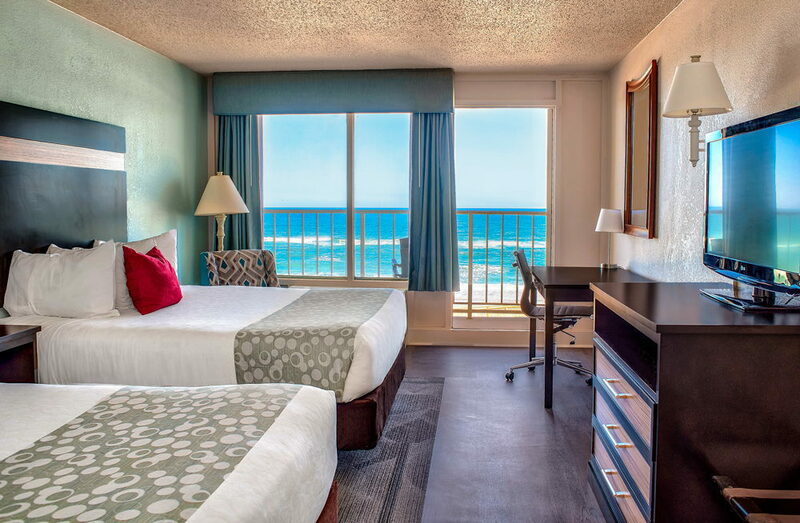 You don’t have to leave the hotel to find plenty to do. 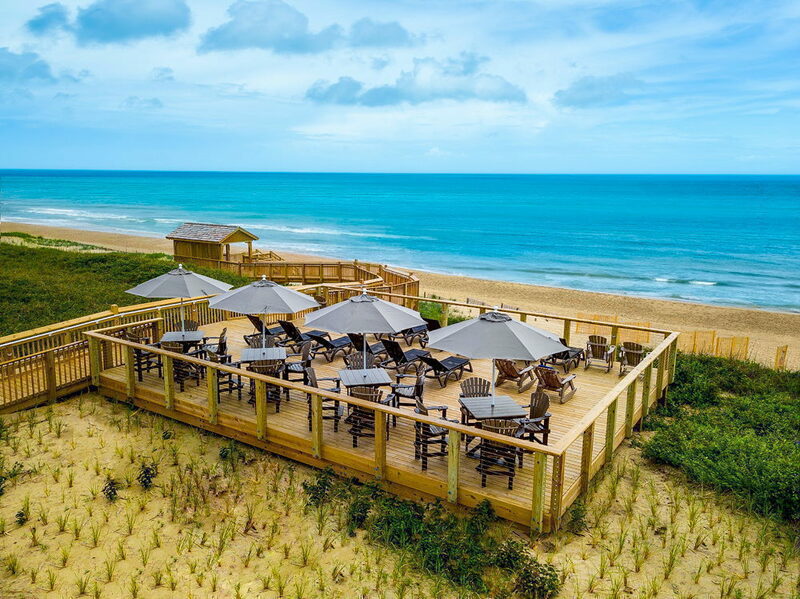 Enjoy breakfast, lunch during season, or dinner at our full-service Outer Banks Restaurants, Peppercorns, and stop in for live entertainment on Friday and Saturday evenings. Our deck overlooks the ocean and surrounds our indoor heated pool and Jacuzzi, where you can have a swim or a soak any time of year. Work out in our fitness center, equipped with cardio machines, free weights and a weight station. 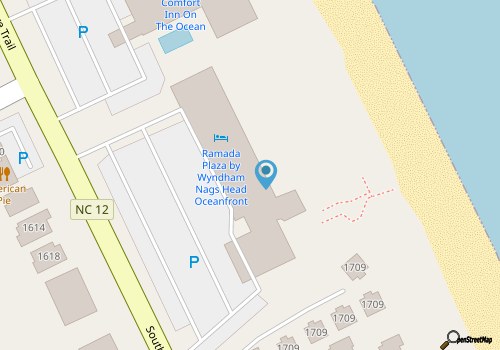 As the area's premier conference facility, the Ramada Plaza Nags Head Oceanfront hotel can accommodate groups of up to 300 guests. 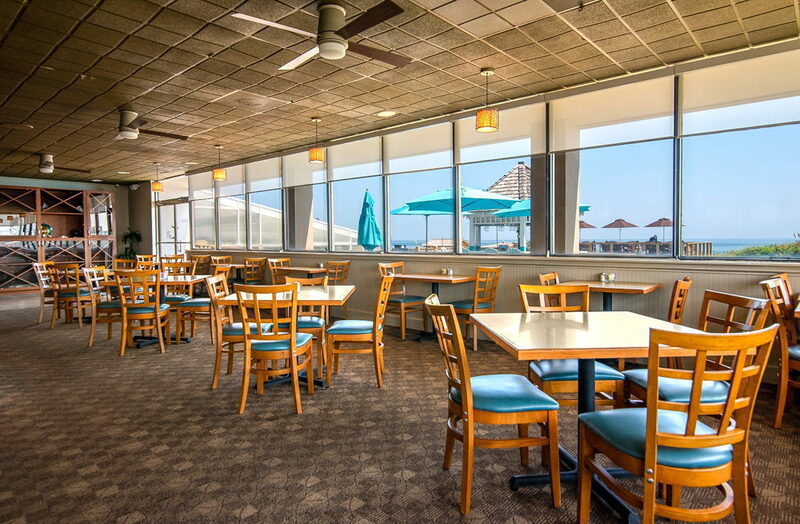 Our main oceanfront ballroom can be used in its entirety or divided into smaller rooms for conferences or breakout meetings. We also have meeting space available for smaller groups on our lobby floor.